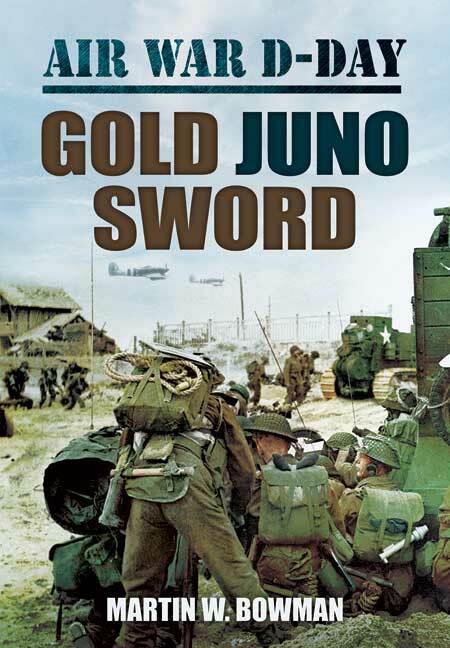 You'll be £19.99 closer to your next £10.00 credit when you purchase Air War D-Day: Gold Juno Sword. What's this? This is the final volume of a comprehensive five part work, including a multitude of personal accounts of every aspect of the aerial operations on 'Gold' 'Juno and 'Sword' beaches during D-Day. It relays the sense of relief experienced as Allied troops gained a foothold on the continent of Europe after D-Day, both by the men caught up in the proceedings and the jubilant civilians on the home front. By the end of June 875,000 men had landed in Normandy; 16 divisions each for the American and British armies. Although the Allies were well established on the coast and possessed all the Cotentin Peninsular, the Americans had still not taken St Lô, nor the British and Canadians the town of Caen, originally a target for D-Day. German resistance, particularly around Caen was ferocious, but the end result would be similar to the Tunisian campaign. More and more well-trained German troops were thrown into the battle, so that when the Allies did break out of Normandy, the defenders lost heavily and lacked the men to stop the Allied forces from almost reaching the borders of Germany. In continuing style, Bowman pays respect to the men who fought in the skies above France on D-Day. This episode of Aviation history has never before been the focus of such detailed analysis; the five volumes of this series act as a memorial to the individuals who played their own individual parts in the wider proceedings. Far from being a mere operational record, this is the story of the men behind the headlines, the reality behind the iconic images of parachute drops and glider formations. This publication serves as a fitting memorial to the individuals who contributed their services to the effort. Another volume in this series that is certainly worth collecting..